Your guests are in for a treat at your Indian wedding or Diwali celebration with this favor container that is uniquely shaped! 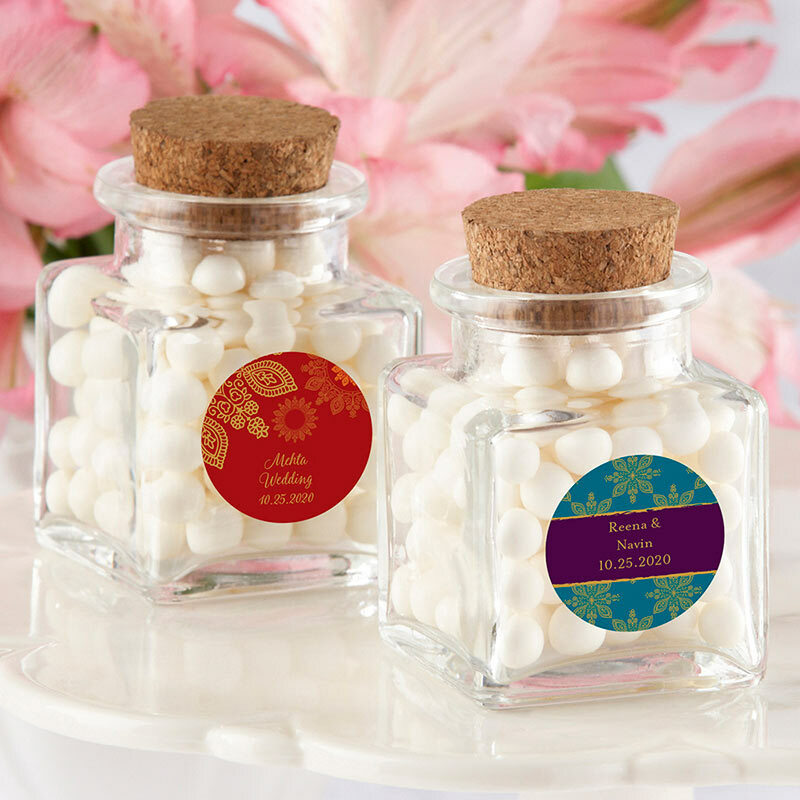 Kate Aspen's Petite Treat Square Glass Favor Jar can be filled with candies, treats or other goodies, and then printed with your names, monogram or event details on the colorful Indian Jewel themed sticker. Square, glass favor jar with wide opening and real cork stopper. Favor measures 2 3/4" h x 1 3/4" x 1 3/4". Optional personalized Indian jewel stickers.